You may receive updates from IntegrateUS, the sponsor of this petition. Most history textbooks will refer to May 14, 1954, as the day that school segregation was ended with Brown v Board of Education passing the verdict that segregated schools were inherently unequal. Today students in the US still attend racially and culturally segregated schools and have been robbed of the chance to better learn about themselves or each other. Separate is #StillNotEqual. Linda Brown, the little girl who fought bravely alongside her father to bring this case to the Supreme Court, passed away on March 25, 2018 before she could see her dream of an integrated school system come to fruition. However, students across the nation are joining hands with teachers and administrators to take the baton of the activists who came before them like Linda Brown and carry on their legacy by taking strides in the direction of ending school segregation once and for all. We are those students. 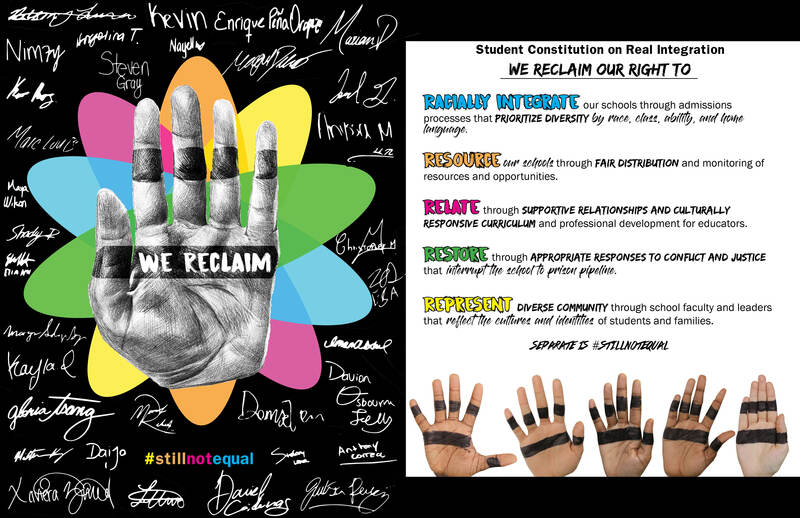 We, the students, reclaim our right to racially integrate schools through admission policies, fairly allocated resources and opportunities, culturally responsive curriculum and professional development for educators, restorative responses to conflict that disrupt school to prison pipeline, and representation of our diverse communities through school faculty and leaders.